The Smith MINI PLEAT Filter is a HEPA type of filter, designed to take out the finest of particles. These HEPA type filters are designed to remove 65% to 98% of all airborne matter. The filter uses a special media intended to capture both small and large particles with minimum airflow restriction. The MINI PLEAT construction is designed to give the filter more surface area. This filter has an average of over 5 times as much surface area as most pleated filters. The increased surface area means better filtering capabilities and longer filter life. These filters can provide up to one year of use with proper care and maintenance. Designed for areas such as hospitals, air purifiers, and computer clean rooms. When properly cared for, these MINI PLEATS are designed to reduce most allergy-causing particles such as pollen, mold, dust mites and pet dander. Keep your home or office cleaner with this MINI PLEAT. 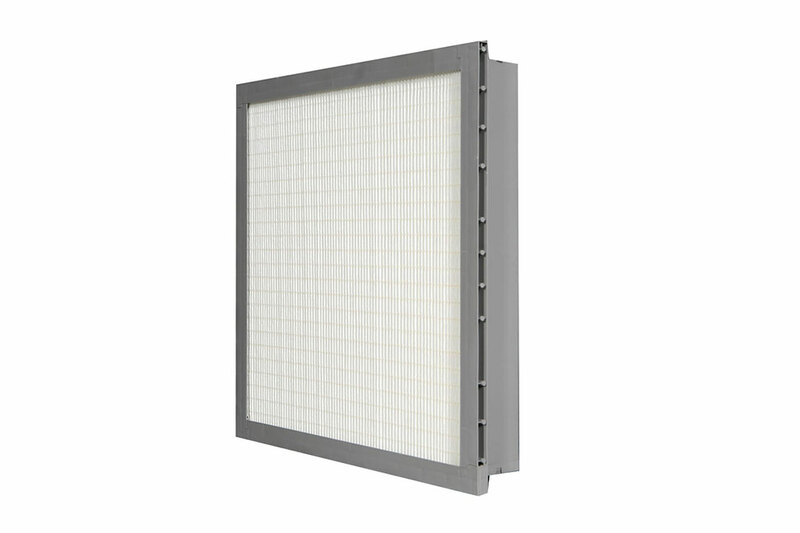 This filter is not only designed to protect you from the harmful particulates in the air, it also helps keep your living area cleaner by reducing the number of particles in the air. They are available in both Die Cut Frames or Plastic Frames.